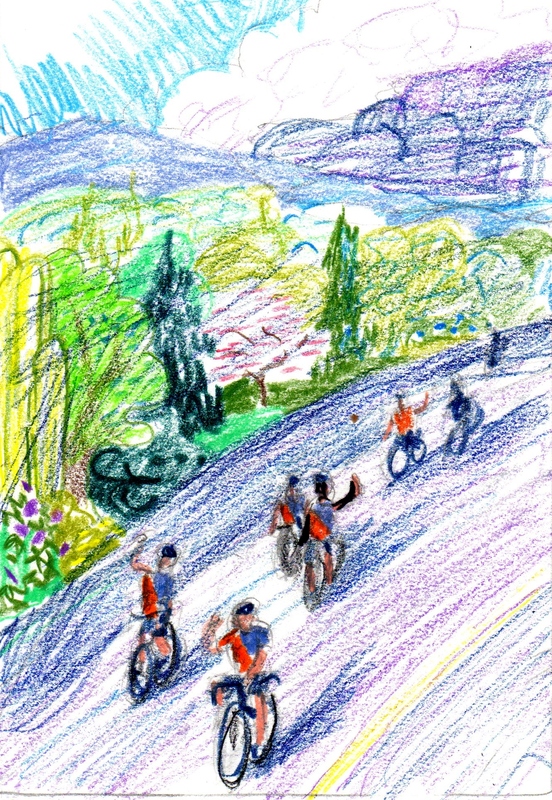 I’m doing work on the MS bike ride drawing. I’ve done a very, very, rough sketch. I’ve sent it to my contact for his opinion. Here it is, remember, it’s very rough.